This Place of Worship was founded in 1886, but we understand it was closed in 1976. This building is situated on the south east corner of the junction of Normanton Road and Rose Hill Street. As the photograph shows it is a grand building. The Registrar General, being satisfied that NORMANTON ROAD UNITED REFORMED CHURCH, Normanton Road, Derby, in the registration district of Derby in the Non-Metropolitan County of Derbyshire is no longer used as a place of worship by the congregation on whose behalf it was on 13th October 1888 registered for marriages in accordance with the Marriage Act, 1836, has cancelled the registration. Dated 20th September 1976. I was unable to find the original notice of its registration; however we do know from the above that its congregation would have joined the United Reformed Church, along with most of the other Congregational Churches after its founding in 1972. Derbyshire Record Office has a record of baptisms at the chapel from 1950-1976; and of marriages 1899-1975. The latter was listed in Places recorded by the Registrar General under the provisions of the Places of Worship Registration Act 1855 (2010) as New Life Christian Centre, with an Assemblies of God congregation, but it is now (2016) known more simply as New Life Church Derby, details of which are available elsewhere in this database. Another source of useful information for the area, and indeed for Derby generally is Andy Savage's Derby Photos. 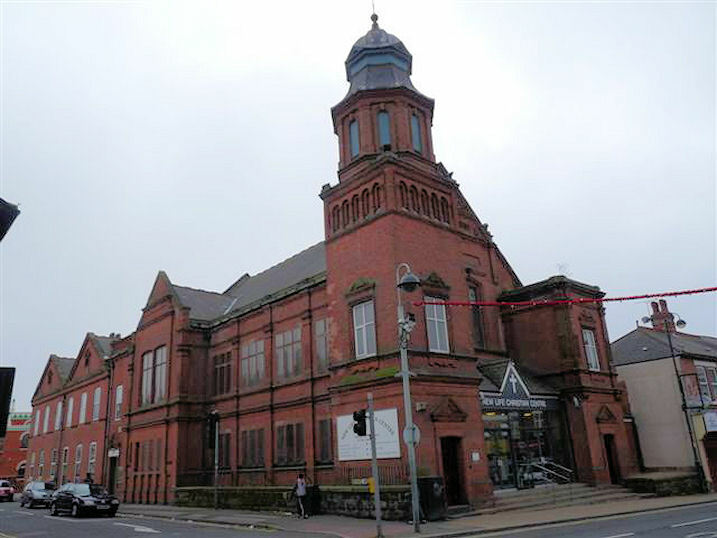 The photo I refer to has the description "The Derby Christian Life Centre Church", taken 20 July 2001, with a note that it was originally the Congregational Church, built in 1886-1887, and located on the corner of Rosehill street and Normanton road. Now or formerly formerly Congregational. Normanton Road Congregational Chapel (now New Life Derby), Derby shown on a Google Map. See New Life Church Derby elsewhere in this database. Information last updated on 19 Dec 2018 at 11:21. This Report was created 29 Mar 2019 - 23:01:58 GMT from information held in the Derbyshire section of the Places of Worship Database. This was last updated on 6 Feb 2019 at 15:49.